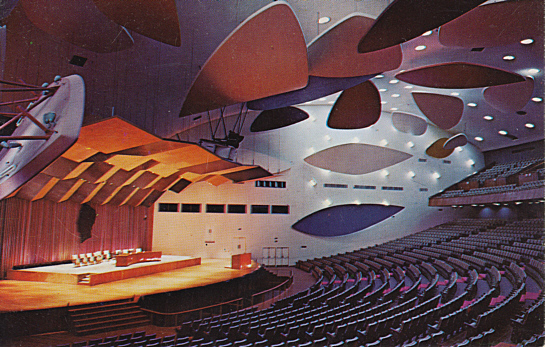 University assembly and concert hall of the "Universidad Central de Venezuela". Built 1953 by Carlos Raúl Villanueva, with acoustic interior decoration ("Floating Clouds") by Alexander Calder. Opened 3 Dec 1953. 2700 seats. Reverse Text: "Aula Magna de la Ciudad Universitaria - Caracas"